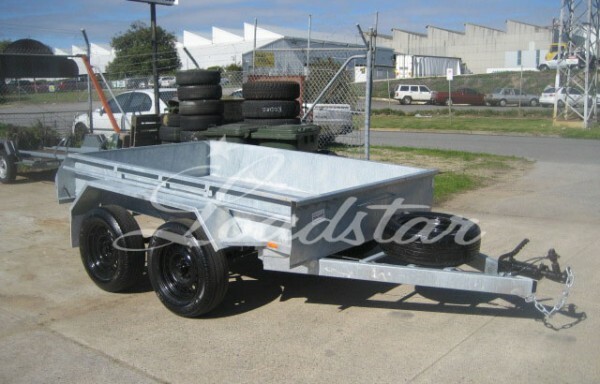 Loadstar Trailers very own heavy duty tipper trailer. 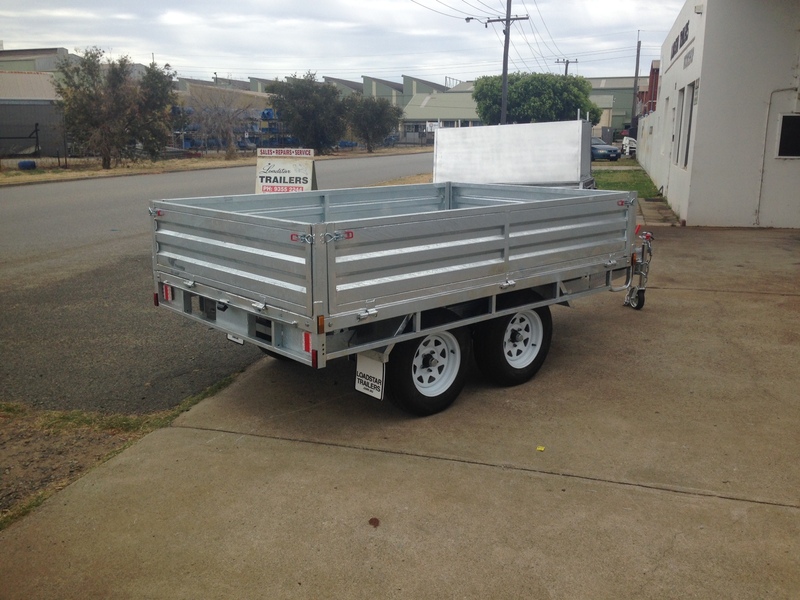 With a huge 3.5 tonne 4 stage hyrdaulic lift ram, this tipping flat top is a great accessory for any builder. 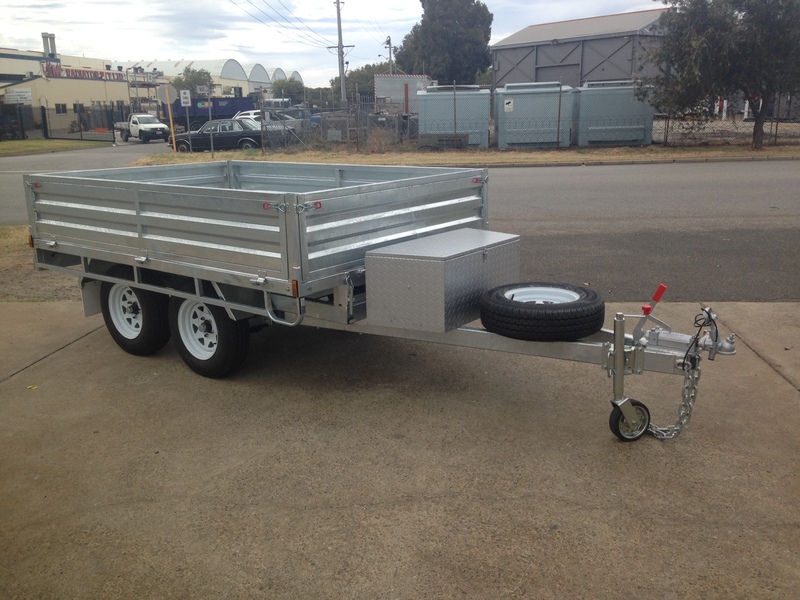 Fully galvanised and with heavier 6 leaf rocker roller springs and 45 mm square axles, this trailer can easily take a pay load of 1.1 tonne and get it where it needs to go. 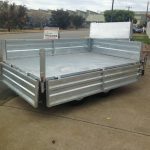 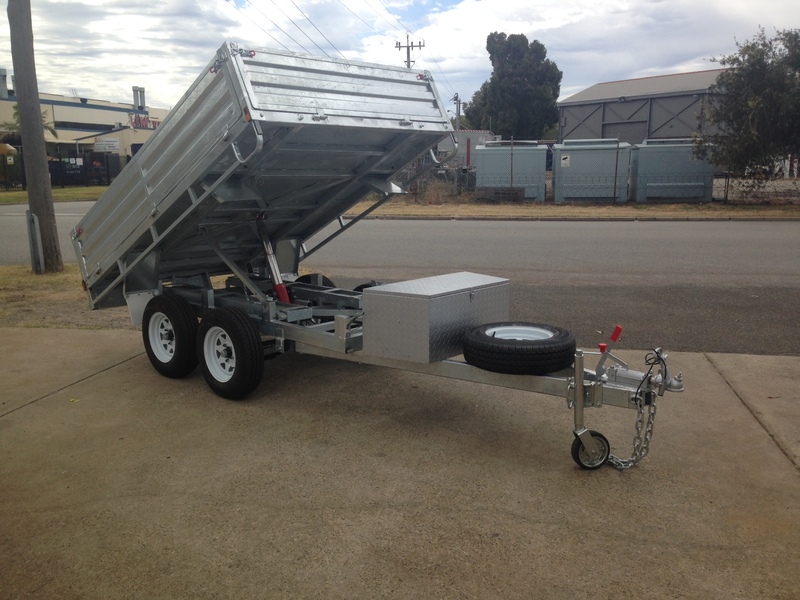 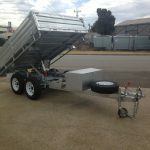 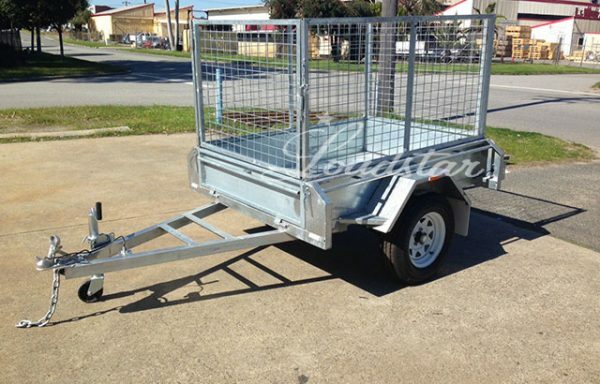 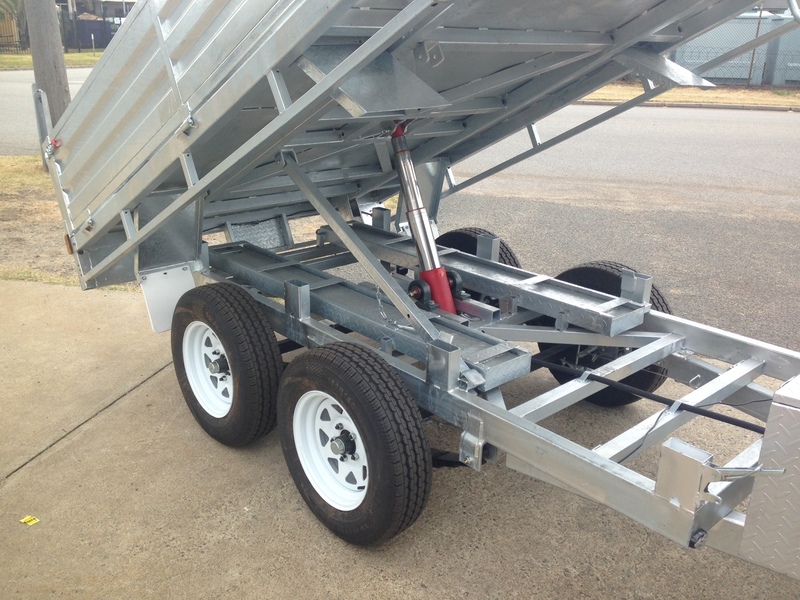 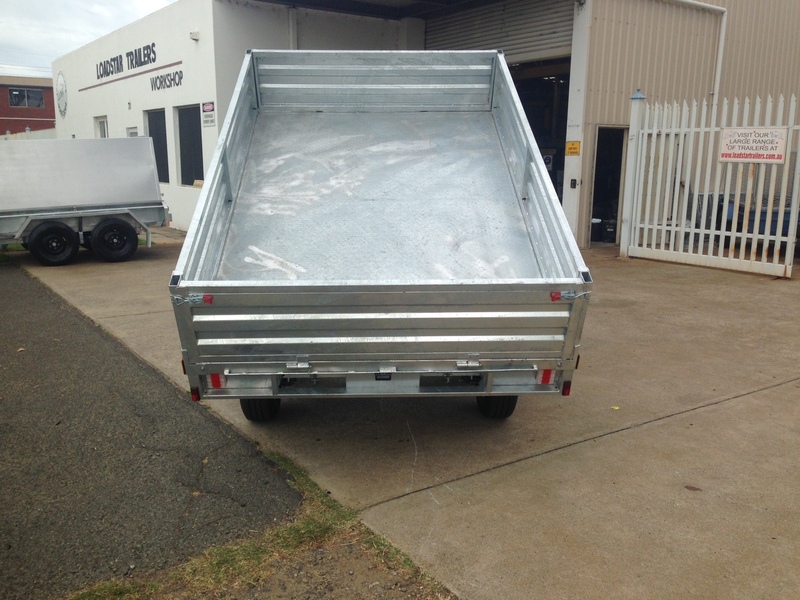 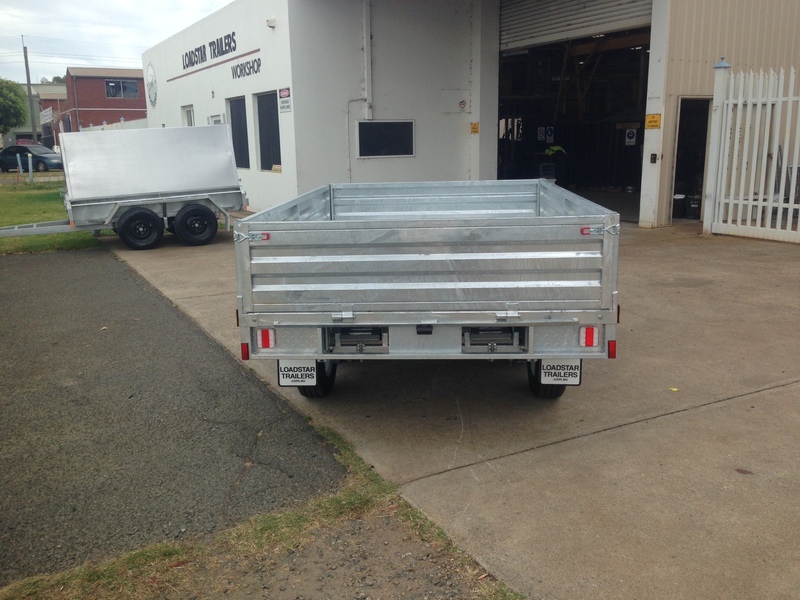 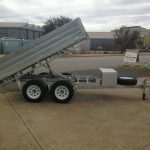 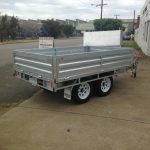 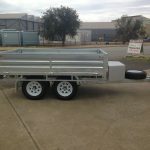 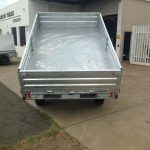 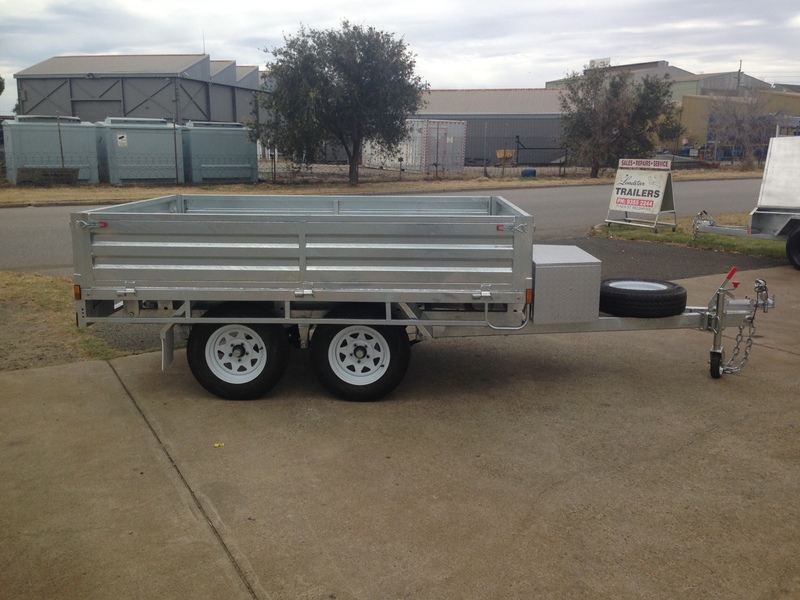 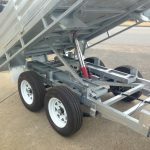 Trailer includes all new wheels, a new spare wheel, heavy duty swivel jockey wheel, drop down removable sides and 2 pull out ramps which are situated under the trailer. 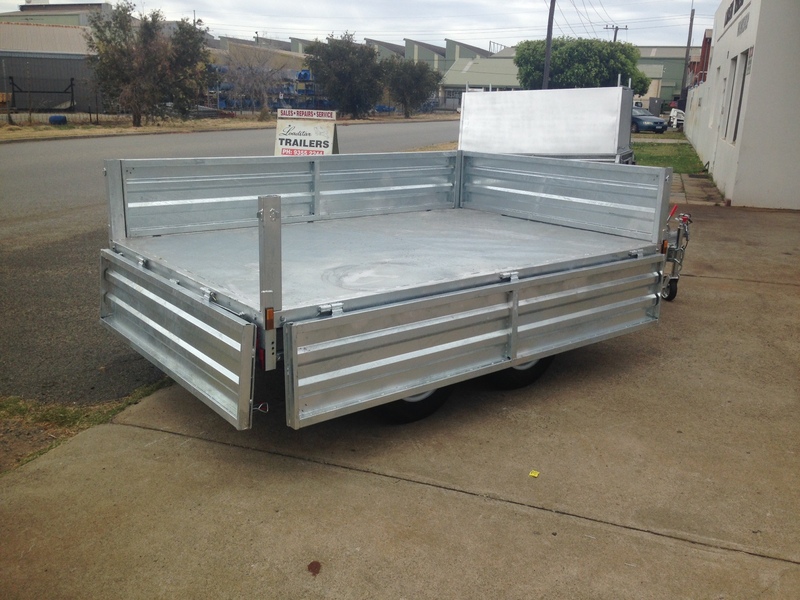 All sides drop down removable. 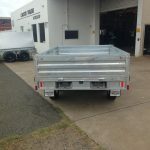 Tube tie off along the sides of the trailer. 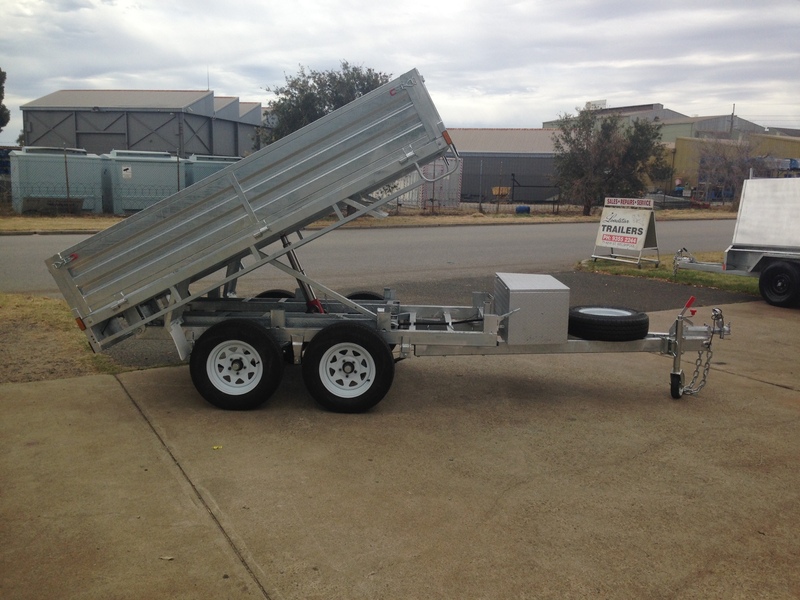 4 stage 3.5 tonne hydraulic ram.